Uber Blog is a grid-based, responsive, retina ready, post-format supporting, minimalistic Blog WordPress theme suitable for any kind of creative, personal or business use. It comes with a Theme Manager, Page builder and many other options. Importing the demo content with one click gets you going with Uber Blog in no time! Enjoy! 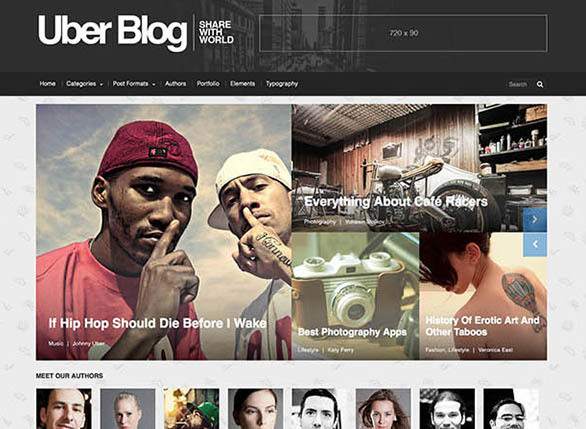 UberBlog is amazingly responsive theme which looks remarkable on just about any device. We developed a smooth design which adapts your site to mobile phones as well as smartphones, tablets and a desktop screens. 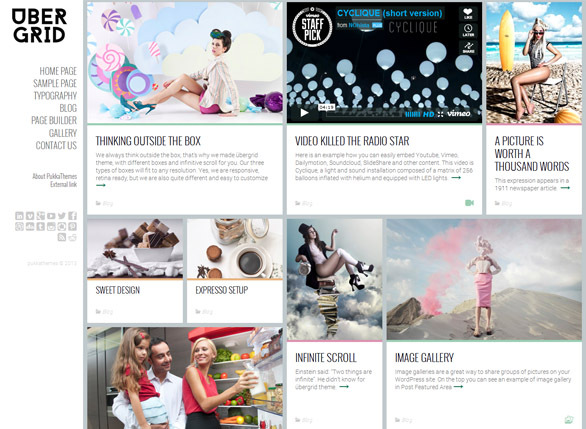 UberBlog is retina ready and allow you to view more pixels per inch on just about any device. Pukka’s page builder provides comprehensive liberty of creating tailor made webpages. 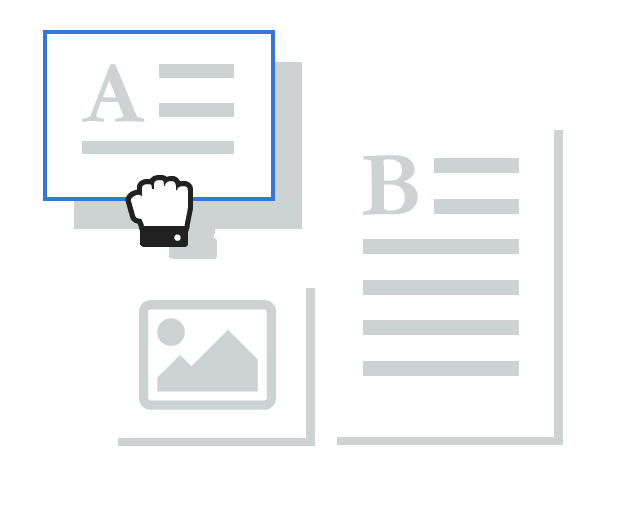 You can use page builder to create custom post, pages or custom post types. We created simple drag and drop UI and you will never have to create and write code. Page builder do that for you. UberBlog is compatible with WPML witch is best multilingual and translation plugin. 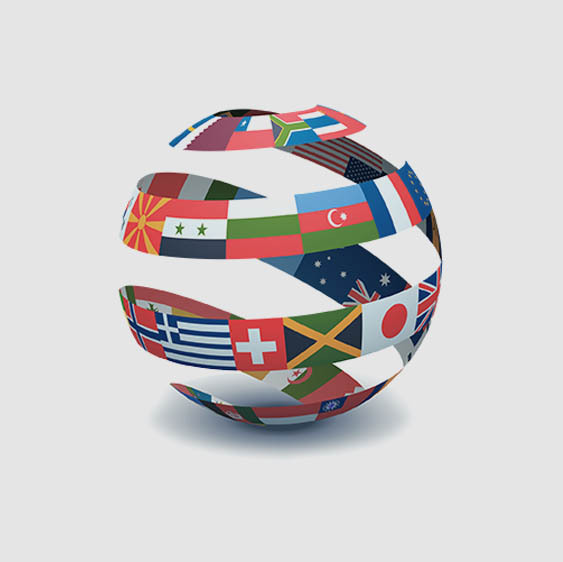 You can easily translate all of your post, pages, custom types, taxonomy and menus. It is very easy to run multilanguage site with UberBlog. Translate your website into many different languages with UberBlog and WPML. 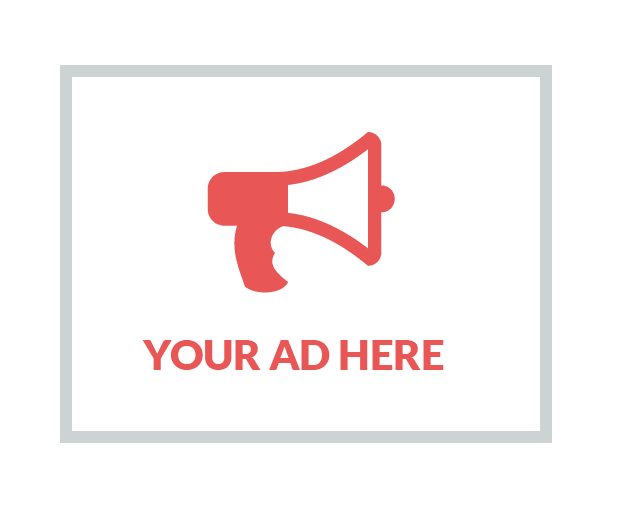 Planning to launch a site with the objective of making money trough advertisements or PPC programs like Adsense? 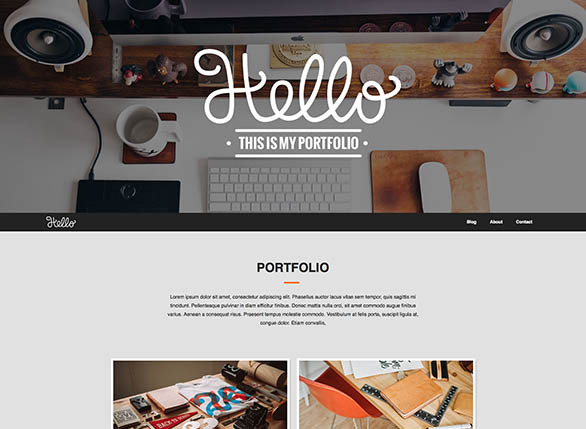 Well, we got you covered with UberBlog theme. 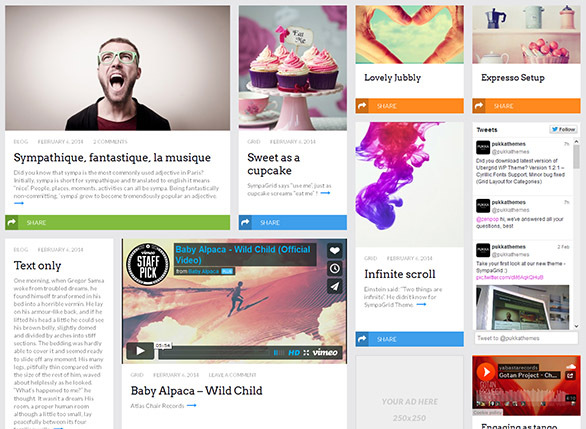 We have few pre-made positions for your banners or advertisements like in header and widgets. You have option to position you ads area from theme settings. Want the ability to be able to use hundreds of scalable images in your WordPress site? 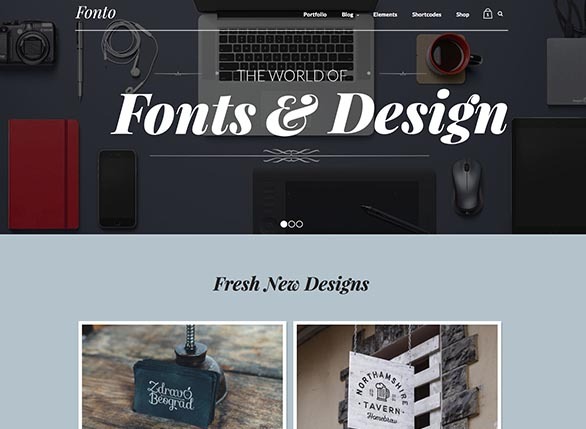 One of the best solutions that we found is Font Awesome. UberBlog icons are 100% Font Awesome. You can chose from 479 icons, and you can easly import them trough our custom FA widget. Why do we emphasize this? Speed – Font Awesome images render VERY quickly on your site.